It would be easy to dismiss ‘capital markets union’ – one of the big ideas of the new European Commission under Jean-Claude Juncker – as little more than another eurocratic slogan or political diversion. As it stands, ‘capital markets union’ is a good idea with little in the way of concrete policy to back it up, and no-one quite knows what it means. The confirmation hearings over the past few weeks in the European Parliament for the British commissioner Jonathan Hill – who if he is approved will have the vaguely Stalinist-sounding title of “Commissioner for Financial Stability, Financial Services and Capital Markets Union” – were something between a political show trial and a Soviet-style centralised planning meeting to set the economic action plan for the next five years. But strip away the politics, and capital markets union could unlock trillions of dollars in capital to invest in businesses and infrastructure in Europe, helping to kickstart economic growth and attack stubbornly high unemployment. For good measure, it could slash the cost of raising capital for smaller businesses, and significantly reduce the costs to investors of their ISAs, mutual funds and pensions. The idea of capital markets union is recognition that Europe needs to break the link between its flatlining economy and its over-reliance on bank lending. In the eurozone, gross new lending to businesses has fallen by more than 40% since its peak in 2008 and is lower today than it was a decade ago. Banks are struggling to shrink their balance sheets after a lending binge in the decade before the financial crisis and are in no position to help companies borrow their way out of trouble. The problem is that capital markets in Europe are not deep enough to take up the slack. More than 20 years after the official launch of the single market, and after a barrage of more than 40 separate pieces of financial legislation under Hill’s predecessor Michel Barnier, we still have “capital markets disunion” in Europe. For all the progress that has been made, capital markets in Europe are a hotch-potch of fragmented national markets with separate rules, regulations and business practices. A genuine “European” market exists only for the biggest companies and the most sophisticated banks and institutional investors. This dislocation is holding companies and investors back and is placing extra burdens on an already creaking and bloated banking sector. There are several dangers ahead. Most immediately, in an attempt to fill in the policy gap and proving that it is doing something, the European Commission could charge off in one politically-attractive direction – such as more initiatives to support growth stockmarkets for SMEs – without properly thinking through why such efforts have failed in the past, what are the underlying structural impediments that are holding back capital markets in Europe, and what changes are within and beyond the remit of Brussels. 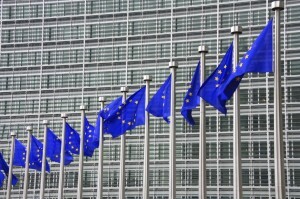 A good place to start for the European Commission would be at the beginning. In other words, to understand how developed are capital markets in Europe today and on what basis? One way of measuring the depth of capital markets is to compare them with the US (which is what we did in the report that you can download at the bottom of this article). Of course, there are many reasons why the US has deeper capital markets than Europe, and it would be potentially disastrous to assume that Europe should simply try to mirror the structure of markets on the other side of the Atlantic. But it’s a good measure of the scale of the gap and of the opportunity. Capital markets in Europe are on average just half as developed relative to the size of the economy as they are in the US, according to our analysis of more than 20 different measures by New Financial. (You can download the research at the bottom of this article). In some areas, the gap is even starker: the high-yield bond market in Europe is just one third the size of the market in the US relative to GDP, which translates into more than $150bn in lost financing a year. The European venture capital industry would be roughly five times bigger if it were the same size relative to the economy as in the US. That means a lot of future potential Googles, Facebooks and biotech companies that are not getting the funding in Europe they might need. All in, there is a shortfall of more than $1 trillion a year between what companies in Europe raise in the capital markets – by selling shares, bonds, or loans – and what they could potentially raise if markets were as deep as in the US. A lot of that money isn’t being raised at all and therefore isn’t being invested in the European economy. The rest is gumming up bank balance sheets unnecessarily and making it harder for them to lend on competitive terms to smaller companies who need and deserve funding. For smaller companies (using deals under $250m as a proxy) US capital markets are five times deeper relative to the size of the economy than they are in Europe. Removing just some of these artificial national barriers – such as rules on what sort of assets pension funds can invest in, different insolvency, governance and tax regimes, or unnecessary duplication in the plumbing behind the financial markets – would bring tangible day-to-day benefits. As more capital flowed across borders in search of investments, it would encourage the demand for capital, help break down cosy national cliques in the financial industry, increase competition and reduce costs. If you own or manage a business, deeper capital markets would give you a wider choice of more flexible financing at more competitive rates. As an investor, you would pay lower trading commissions, the fees on your ISAs and mutual funds would be lower, and less of your pension would be eaten up by costs. We also found that revenues per dollar of assets in the fragmented European asset management industry are roughly one third higher than in the much bigger US market. There is an old joke from the days of the Soviet Union that the great thing about centralised economic planning was that if one five year plan doesn’t work there would always be another one along in a few years time to put things right. Building a capital markets union during the five year tenure of Juncker’s commission will not be easy. Many of the problems are deeply embedded in national legal and tax systems, and it will take many five year plans to make genuine progress. But capital markets union is one piece of centralised planning that even the most free market liberals should support.